Natural home remedies are nothing new; people have been using holistic cures for thousands of years. The Egyptians knew the antibiotic qualities of honey and a whole host of earthly cures, and ancient Chinese medicine was founded on the belief of treating the whole person, which is the cornerstone of homeopathy today. Hippocrates, ancient scholar and teacher, taught this approach as well. In more modern times, a German doctor by the name of Dr. Samuel Hahnemann founded homeopathic medicine as we know it today in 1796. What did Dr. Samuel Hahnemann and these people know that we don’t? Homeopathy, at its root, is the belief that all disease and disease processes start from an imbalance in the vital force. The vital force is found in every living thing and describes the natural power within that fights to keep living beings healthy; if this force is weakened or imbalanced, the person becomes sick. Taken one step farther, homeopathy believes in curing a person’s ailments by treating the person as a whole, and not just the symptoms presented. 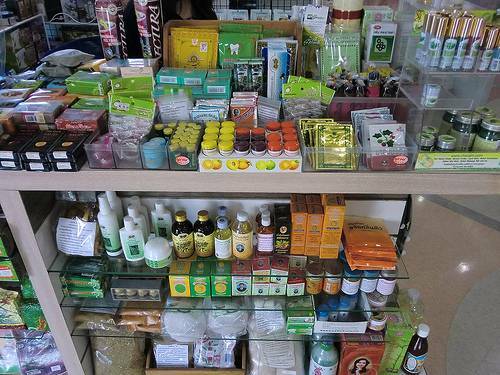 Today, even modern medical providers must admit there is much benefit to home treatments and homeopathic remedies. Doctors routinely prescribe chiropractor treatments to their chronic pain patients, and the ancient art of acupuncture is gaining traction as a therapy that aids in many ways. When you consider how many medications are used daily that have their origins in natural plants, such as morphine and many cardiac drugs, it isn’t that far of a stretch to see that herbal remedies or home remedies and modern medicine can go hand in hand. 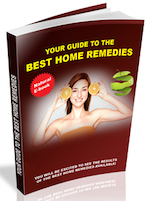 There are many reasons that home remedies are gaining renewed interest. Some people find them to be more effective and less expensive than modern prescribed medications, while others find that continued use of prescribed medications builds a resistance to their effectiveness, such as the continued use of antibiotics. There is a growing concern regarding toxicity and side effects of medications; any number of law suits against medical laboratories will attest to this aspect. Others wish to combine home remedies with prescribed medication; there is no doubt that the two of them can work in a great partnership to defeat disease processes. Some simply trust in time honored natural cures that have proven beneficial and effective over and over again; others learn the ways of homeopathy and natural cures from family. To the uninformed, home remedies bring to mind witch doctors and mountains of strange herbal concoctions. The truth is, most herbal remedies are regulated by the FDA for safety in processing and packaging. While they make no claim as to effectiveness, rest assured the products are considered safe by the FDA under the “dietary supplements” category. 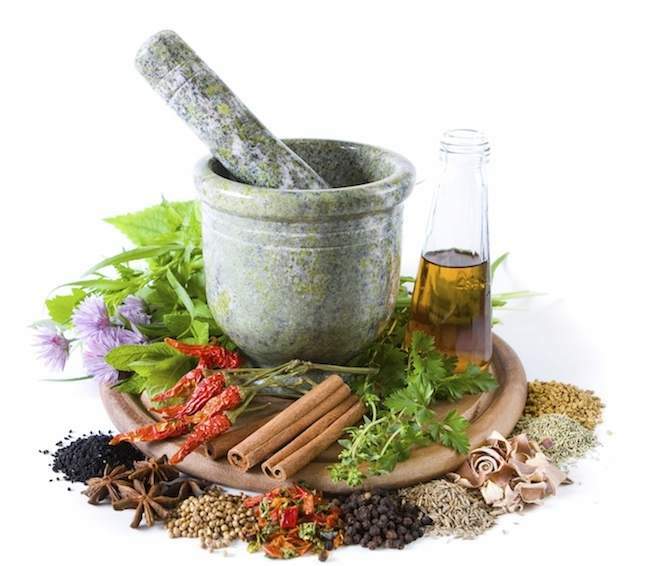 Natural remedies in America have a long history, from Native Americans to colonial settlers who adopted their medicine from the Indians, to homesteaders; every where there has been recorded history, you can find reference to medical practices involving natural cures. We took the practices into early wars, learned techniques from ancient peoples, adapted them for our own purposes, and relied on them from antiquity to the present. President William McKinley, artist Pierre Auguste Renoir, Chopin and Tolstoy are just a few historic figures who used homeopathic remedies. A little closer to home, Cher, Bono, Catherine Zeta Jones, Jane Seymour and Tina Turner are among the modern celebrities who advocate homeopathy. Florence Nightengale, the mother of modern nursing, actually adopted her approach to medicine on a homeopathic basis. A patient of a homeopathic physician of the times, James Manby Gully, Florence surrounded herself in Crimea with nurses who were trained in homeopathy. One of her biggest discoveries, that wartime deaths could be prevented by better living conditions, addresses the whole body concept of homeopathic medicine. In written letters, her support of the science of homeopathy was clear; she advised her sister to seek treatment from homeopath James Harper and advocated her father seeing a homeopath for an eye infection he could not clear. In 1860, Florence received a letter from renowned journalist Harriet Marineau praising her strides in homeopathic medicine, and predicting that homeopathy would outlive any other practicing medical standards of their time. Luckily for us, we are no longer stumbling around trying to figure out our natural remedies; a simple online search will unearth a variety of home remedies for almost anything you can imagine. Specially selected foods for a colon cleanse diet, St. John’s Wort for mood disturbances, echinacea for a cold, chamomile for any number of ailments from joint health to anti-anxiety; chances are you have heard of herbal remedies or even tried them without realizing they were homeopathic. From ear infections to nail fungus, to pain relief and joint comfort, there is an herbal remedy that is appropriate for you. Herbal remedies are not just for humans, either. Many have turned to homeopathic cures for their dogs, cats, and even livestock. Some vets recommend acupuncture or herbal remedies for pets when it seems they cannot find a cure. Again, natural cures and modern day medicine can be great companions with each working together with the other. Oddly, the human that won’t think twice about putting their pet on a natural remedies may have never thought twice about using them for himself. Besides specific remedies, there is a large selection of overall health supplements, all natural, and meant to work together to promote long lasting, good health. Research can find supplements specific to gender and age, with a focus on different requirements of each; even children can benefit from herbal cures. For any serious health threatening disease, doctor guidance is recommended. There is no reason not to supplement your medications with safe, beneficial, all natural homeopathic remedies as well. Research your illness, and see what remedies are recommended for you. From a history that dates to antiquity, the home remedy and or homeopathic solution are still a trusted and well researched source of health answers. Used by celebrities and advocated by physicians and historical figures throughout time, there is a reason that natural remedies are still being used today. 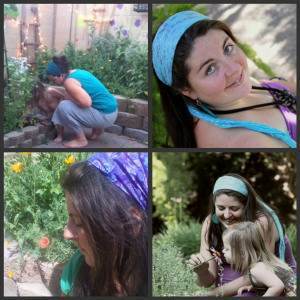 Quite simply, they are safe, effective, inexpensive; home remedies and herbal cures work. 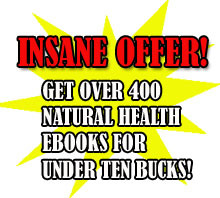 Enroll in our weekly natural health e-newsletter and get home cure and natural health books one delivered to your inbox weekly free of charge!. In the event that you buy my special work, “The Big Book of Home Remedies” you may additionally acquire straightaway admission into the reserved members space and that permits you to pick up all of our 415 plus natural health condition books free of charge.